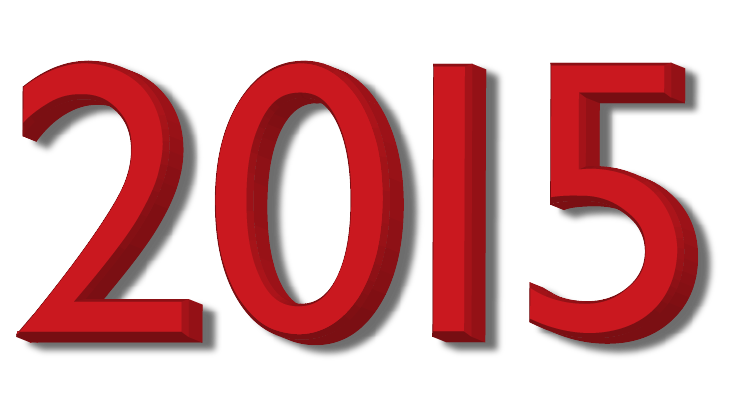 “It’s the Most Wonderful Time of the Year” – Deal Me In 2015 Sign Up! 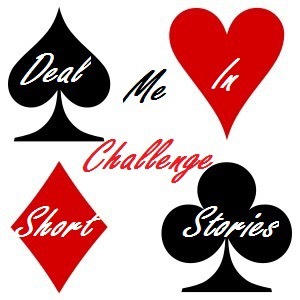 Welcome to the Short Story Reading Challenge, Deal Me In 2015! Yes, I know you’re being bombarded with news about all sorts of reading challenges, and they all sound like a lot of fun. But here’s a unique challenge where your reading burden is relatively light AND where you still can experience a lot of different authors and genres. Where do I post* about my stories? 2) if you don’t have a blog or website you may comment on my weekly post, sharing thoughts on your own story – or start one at WordPress or blogspot – it’s easy and free to create a basic blog. How do I pick which stories to read? (The 52 stories themselves are totally up to you.) Before you get start reading, come up with a roster of fifty-two stories (you can use any source) and assign each one to a playing card in a standard deck of cards. It can be fun to use different suits for different types of stories, but that is optional. Each “week,” (if you’re like me, you may occasionally fall a story or two behind) you draw a card at random from your deck and that is the story you will read. There are links to last year’s participants’ rosters here if you want to see some examples. What if I don’t have time to read a story every single week? Leave a comment below with your URL and I will link you. My first wrap-up post of the year (I post weekly, usually Sunday night or Monday morning) will include links to any new Deal Me In posts and a list of the participants with links to their roster of stories. The Deal Me In “Fortnight Version” – just use two suits from your deck and assign a story to each card, drawing a card every two weeks. If you get paid bi-weekly, you can use that as a reminder to draw a new card (I guess this makes the fortnight variation a.k.a. The “payday version.” 🙂 If you work for “one of those companies” where you only get paid twice a month on the 15th and 30th, e.g., drop two cards or better yet, use a euchre deck! Dates of the full moons in 2015: 1/5, 2/3, 3/5, 4/4, 5/4, 6/2, 7/2, 7/31, 8/29, 9/28, 10/27, 11/25, and 12/25. Glad you’ll be joining us again this year! I posted my own roster a few days ago: https://bibliophilica.wordpress.com/2014/12/16/my-deal-me-in-2015-roster/. Happy reading to all! I’m in! My list is not finalized yet, because I’ve put a twist (of course) into the planning process. But there IS a giveaway involved. I”m in. I’ll be looking for connections again this round and probably posting at the fortnight rate rather than the weekly rate. I look forward to following along with your story pairs again this year, James. Thanks for signing up again! I was going to see if I could tweak it a bit since I know I can’t read a short story a week. But you’ve got some options up for 2015 and I like ’em! I’ll most likely go for the fortnightly option. Just need to pick out the stories! Glad you’re throwing your hat into the ring again, Dale. I think you and Katherine deserve some special recognition for posting about every single story (if I’m not mistaken) in 2014. I missed a few myself, but posted about a higher percentage than ever before. I’m joining in the fun! Here’s my list of choices. Happy to have you in the challenge, Becky! I am interested, one of my goals in 2015 is to read more short stories. But I am a little worried about the time it will take me to come up with a list and write it all up. Is there a “too late to join” date? Nope, there’s no real deadline (we had several late-joiners last year) and the “rules” for this challenge are pretty informal. 🙂 So, take your time and come up with a good list of wherever size option you choose. Good luck! Thanks so much for responding, Jay. I will definitely join in, and it probably won’t take me too long to decide on a strategy. And I love the informal approach. I’ll post my 52 story choices on January 1st & look forward to participating! Happy you’ll be joining us! I hope you will enjoy doing the challenge as much as I do. I struggle sometimes to complete challenges as well – maybe that’s why I don’t do many any more, except this one. Good luck with your selections and happy reading! Count me in. I am working on my roster of stories and hope to have it posted soon. Welcome, Jim! I look forward to seeing your story roster. Thanks for commenting Marianne. I’m glad Deal Me In served as a reminder for you to read shorter works. It’s become such a habit for me now to read one story a week, I’ll probably keep it up the rest of my life. Welcome aboard! Enjoy the challenge! I’m happy to be taking on this challenge this year; it looks like so much fun! I’ve adjusted it a little and added poems, essays and children’s classics to the short story format, so hopefully that’s okay. Here’s my post: http://cleoclassical.blogspot.ca/2014/12/deal-me-in-challenge-2015.html and I’ll get my list up in the next couple of days. Glad you’ll be joining us, Cleo! I will look forward to seeing your roster of stories when you have it up. Good luck with the challenge! I have think I have enough short-story books in my TBR to pull this off! I think what I’ll do is read them bit by bit (as luck guides me) throughout the year. By end-2015 I should have read several complete books. I’m going for the full moon fever version and plan to read 12 short stories from “The Weird”. Thanks! Hoorah! Lana’s in! Can Jane be far behind….? 🙂 “The Weird” is a great anthology! I think one could do two full years of deal me in with all the stories in there. Thanks for joining us. That collection is a great source of great stories. Hope you enjoy the challenge! Count me in. I read a LOT, but have never been a big reader of short stories, so this will be a challenge to me. Welcome to the Deal Me In challenge, 1066jq! Do you have a website? I have a post listing my short stories now. Sign me up! After reading James’s posts all year, I realized that I have an essay collection I’ve been longing to spend more time with, and it includes exactly 51 essayists! If I split one essayist into two cards, that’ll give me a full deck, so I’m in. I’m going to try to read one a week but will probably post less often. My list should be up later this week! Happy to have you in the challenge, Teresa! Hey! I know I didn’t do too well last year but I want to give it another shot this year! I have a question though, are podcasts of short stories acceptable? Because I’ve found a set of New Yorker podcasts of short stories and they seem very interesting. I’m looking forward to the stories AND the blogging community. Here is my post on George saunders. Not sure if I should be linking it to you blog here? Great post on Saunders. He’s impressed me with what I’ve read so far, which includes the title story from Tenth of December. Hello, I only recently discovered this challenge. Would it be too late to join? Not at all! We’d be happy to have you join us. (people joined last year half-way through the challenge) You can comment again here on this post when you come up with a ‘roster’ of stories and then I’ll include a link to your roster and/or any posts you write between now and then in the next weekly wrap-up on Monday.